In this article, you will learn about the best Kodi live TV addons. 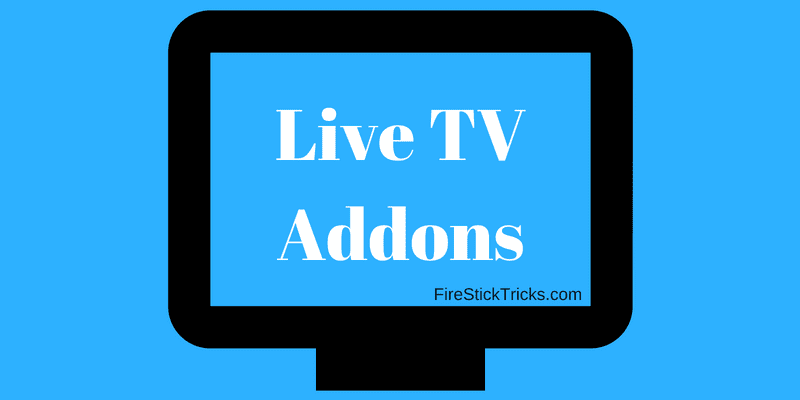 The addons listed here work on all the Kodi boxes including FireStick, PC, Android TV, Android mobiles, and tablets, etc. I love to tune in to my favorite cable TV channel whenever I get the chance. But, the traditional way of watching TV through a cable connection is only becoming more expensive. And, that makes me consider other options. Over the past few years, live TV streaming over the internet has become more mainstream than it used to be before. We have now started cutting the cord and adopting the online way of watching TV. Thanks to the live TV Kodi addons, watching TV on the internet connected devices has become even easier and convenient. Kodi is a versatile media player that plays the content from the local storage, on-demand content on the internet, as well as live TV. If you are new to Kodi, check out my ultimate beginners guide for Kodi. To watch live TV on Kodi, all you need to do is find the right addon that lets you stream your favorite channels. The question is, how to find the best live TV addons for Kodi? The popularity of Kodi player has soared in the past years. There are hundreds of Kodi addons out there for you to choose from. Unfortunately, not all the addons work properly. Therefore, it is difficult for us to find the ones that do. We have handpicked some of the best live TV addons for Kodi that actually work. In this article, I am going to show you how to watch live TV on Kodi. Keep reading! Selfless is the preferred choice of those who are looking for Kodi live TV addons. This addon brings to you a healthy library of live TV channels from many parts of the world, including the USA. You could watch sports, shows, movies, 24/7 shows and a lot more through this addon. The addon also features several premium satellite channels and you can watch them all for free. Selfless can be installed from the Bookmark Repository, which is the part of the Bliss TV source. I have been personally using Selfless for some time and find it better than many other live TV addons. Chronos is another addon I have grown fond of recently. It does not have as many premium channels as Selfless but the overall list of channels is just as big as any. Whether you want to watch Sports, News, Adult Swim, Cartoon, or Movies, Shows, Chronos has it all for you. You can get this addon from the SkyDarks source. It takes no more than a few minutes to install Chronos and start watching your favorite channels. Chronos also has a special category for sports called ‘Live Sports’. Needless to say, here you can watch a wide range of live sports through several streams. This addon is not just for live TV on Kodi though; it also has some on-demand content. Now, TV Tuga Milhano isn’t necessarily one of the most popular live TV Kodi addon. But, I discovered this addon not very long ago and believe it is worth being the part of this list. TV Tuga primarily focuses on the TV channels in Portuguese. However, you will also find a lot of channels in English. The addon also has a special ‘World TV’ section, where you can find TV channels from around the world. You can install this Kodi live TV addon directly from a zip file without going through any repository. cCloud TV addon brings to you dozens of live programs and a wide range of TV channels from the USA and UK. It is easily one of the best Kodi addons for live TV you will find. Here, you can watch live TV content related to Sports, News, Lifestyle, Music, Movies, TV Shows, and so much more. It also has a ‘Non-English/International’ section that lets you stream channels from around the world. If you are looking for high-quality live TV content, give cCloud TV a try. You can install cCloud from the Kodil repository. Furious Streams has a huge collection of the live TV channels from the UK and USA. This addon features 5 lists of the free live TV channels from these two locations on its home screen. It also has a dedicated category for the Sports channels. I will mince no words in saying that I was more than a little impressed with Furious Streams. Therefore, I had no hesitation in making this addon the part of best Kodi live TV addons. As is the case with the other live TV channels, you may not find all the streams on Furious Streams working all the time. But, it has more playable streams than several other live TV addons I have used. Furious Streams is hosted in the Brettus Builds repository and it takes only a few minutes to install it. When I first installed and started exploring Resistance, I felt that this Kodi live TV addon is only for the Spanish channels. But, when I dug deeper, I found that it has a solid collection of English channels too. I wouldn’t say that Resistance is the best live TV addon. But, its library of channels is satisfactory enough to earn it the spot on this list. The developers apparently have their own repository eponymous to addon – Resistance – from where you can install the Resistance addon. This addon lets you watch live sports, music, movies, shows, news and more. Yep! IPTV Bonanza is available through two sources, Maniac Repository and Kodil Repository. You can install this addon from either as both are working. IPTV Bonanza, as the name promises, sure looks like a bonanza of the live TV content. It has literally hundreds of live TV channels from all around the world. This pretty much means it has just about every channel you would want to watch. So, why does this Kodi live TV addon make it this far down the list and not the top of it? That’s because the channels are listed rather haphazardly and it’s not always easy to find the one you are looking for. There are no genre categories. The channels are randomly categorized, mostly by the country name. Sadly, the list is not even alphabetical. However, if you can wrap your head around the list, I am confident you will really enjoy the IPTV Bonanza live TV addon for Kodi. Just like IPTV Bonanza, Ultra IPTV also has an extensive collection of live TV channels from around the world. And, just like IPTV Bonanza, this Kodi live TV addon does not organize its channels properly. Thus, looking up for the channels of your choice gets a little tricky. It would have been so much better if they had categorized these channels at least by language if not the genre. Nevertheless, there is a great deal to watch here and if you look closely enough, you will find your favorite channels. There is sports, movies, shows, news and just about everything you may ask for through hundreds of channels. And of course, everything is free. UK Turks Playlists encompasses a wide range of content in a variety of categories including live TV on Kodi. Even though this addon is primarily for the on-demand content, it has a separate, special section for Live TV. And this section contains many TV channels from the UK, USA, and other countries. This Kodi live TV addon can be installed from the UKTurk Addon-repository, which is the first to get the up to date version of the addon. It is also available on Kodil repository. But, I have noticed that Kodil doesn’t always have the latest version. After installing UK Turks Playlists, you will need a PIN to access it. The PIN can be generated at UTPIN.com. There is a good chance you may not have even heard of this live TV Kodi addon. I stumbled upon it only a few weeks ago and decided to keep it. Why? For the simple reason, it allows me to watch live TV channels from around the world without any hassles. The home screen of this add-on features various categories with links to dozens of channels. These categories are mostly country wise, but you will also find sections like VIP Kids TV, Movies, etc. American Tuga is the part of the VIP Secret Repository and that is exactly where you can install it from. Mad Streams is yet another addon you would like to give a try if you want to watch live TV on Kodi. This addon has plenty of live TV streams for some popular TV channels. Presently, Mad Streams is offline for maintenance and version update. We will let you know once it is online again. SportsDevil is regularly featured among the best addons to watch live TV on Kodi. It has this huge collection of channels from nearly all the places in the world. The name of the addon suggests that it is all about sports. It is true that a big portion of SportsDevil is dedicated to sports. Its main screen features two separate sections for sports – Live Sports & Sports TV. However, there is more to SportsDevil than just sports. There is ‘Live TV’ section, which further has a ‘ShadowsNet.ro (World TV)’ category. The World TV part of this addon lets you explore live TV channels from the USA, UK, Germany, Italy, France and more. You can install SportsDevil from Kodil Repository. You might also discover that SportsDevil is the part of almost all the other major repositories including Supremacy, Maverick, UKTurk Addon Repository etc. But, Kodil seems to have the latest version of this addon and that is why it is the best source to install SportsDevil from. Mobdro is one of the very popular Kodi addons and it is available for download from the Kodil repository. Even though Mobdro is essentially an on-demand addon, it features a category named ‘Channels’, which has a decent collection of some widely watched satellite channels. Mobdro has an extensive range of content and lets you watch live channels in various categories including Movies, TV shows, Entertainment, Sports, Music and more. This addon is also regularly updated with the new content. Much like IPTV Bonanza and Ultra IPTV, Ultimate IPTV too has a big collection of satellite TV channels from all over the world. Just like the other two, Ultimate IPTV channels are also somehow misarranged and placed randomly. So, you will have to click through the screens to find what you are looking for. The good thing is that if you are ready to work for it, you are more likely to find your favorite channel here than anywhere else. USTVnow is a subscription-based service offering live TV streaming of the American satellite channels to the Americans outside the country, such as the military personnel in deployment. This service is listed as USTVNow Plus in the Kodi official repository. You will first need to sign up for the USTVnow account and then install its live TV Kodi addon to use the service. USTVnow has a tiered pricing structure with the base plan being free. But, the free plan offers only up to 6 channels and limited features. The paid subscriptions start at $14.99 and offer more channels (up to 24) and better DVR capabilities. You may visit http://watch.ustvnow.com/guide and learn more about the plans and channels. Before you start streaming with Kodi Addons / Builds, I would like to warn you that everything you stream on Kodi is visible to your ISP and Government. This means, streaming copyrighted content (free movies, TV shows, Sports) might get you into legal trouble. Kodi users are strongly advised to connect a VPN while streaming. A VPN for Kodi will bypass ISP throttling, Government Surveillance, and geo-restriction on popular Add-ons. I always connect ExpressVPN on all my streaming devices and I suggest you do the same. ExpressVPN is the fastest and most secure VPN. It comes with a 30-day money-back guarantee. Meaning, you can use it freely for the first 30-days and if you are not satisfied with the performance (which is highly unlikely), you can ask for the full refund. NOTE: We do not encourage the violation of the copyright laws. But, what if you end up streaming content from an illegitimate source unintentionally? It is not always easy to tell the difference between a legit and illegal source. So, before you start streaming on Kodi, here's how to get VPN protection in 3 simple steps. Step 1: Get the ExpressVPN subscription HERE. 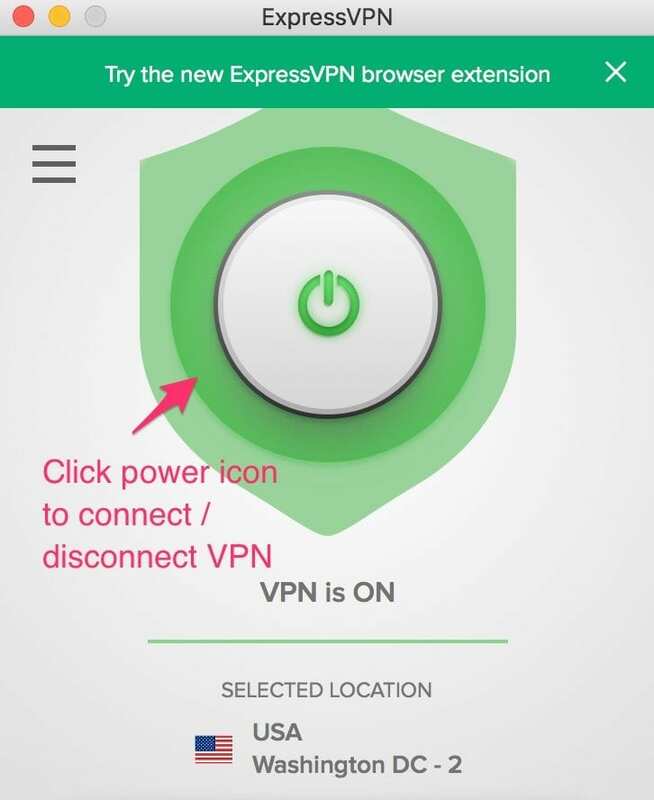 Step 2: Click HERE to download and install the ExpressVPN app on your device. Step 3: Click the Power icon to connect a VPN server. That's all. Your connection is now secure with the fastest and best VPN for Kodi. So, here is our list of the best Kodi live TV addons for 2018. It is true that there are many more out there. But, the idea is to find the addons that truly work. There is no point in going through the hassles of installing an addon only to find it does not work. I have personally installed each one of these addons and tested them for streamability. Please note that I am yet to find a live TV addon for Kodi that could play 100% streams all the time. But, the addons I have listed above have more streamable links and work better than the others. If I happen to stumble upon any new, effective live TV Kodi addon, I sure will update this list. In case you happen to discover any addon, please share it with us in the comments section below. Thank you for reading! indian tv iptv link plz??? ?